So for the new year, I decided to make a resolution. I’m already on a fitness journey, so I wanted to pick a resolution that focused on food. I decided I wanted to try a new food each month. Now, this could be a food I’ve never had before, or this could be a food I’ve had but that I personally have not made. So for the next year you will see some recipes that feature one or both parts of my resolution. This is the first post in my resolution collection. This is a super easy recipe. Possibly the easiest soup recipe I’ve come across and attempted. This is a very hearty and earthy soup. It has a wonderful spice in it. It has the sweetness of sweet potatoes and the spiciness from roasted red pepper and red pepper flakes. Also, this soup is insanely good for you. It’s worth making if you aren’t a lover of sweet potato because all the flavors work wonderfully together. The only thing that takes any sort of time in this recipe is chopping and dicing the vegetables. Once you have that done, you just throw everything together into your crock pot. This doesn’t make a whole lot of soup, about 4 bowls. You also don’t have to be precise on the cutting of the vegetables because it all gets blended together in the end. 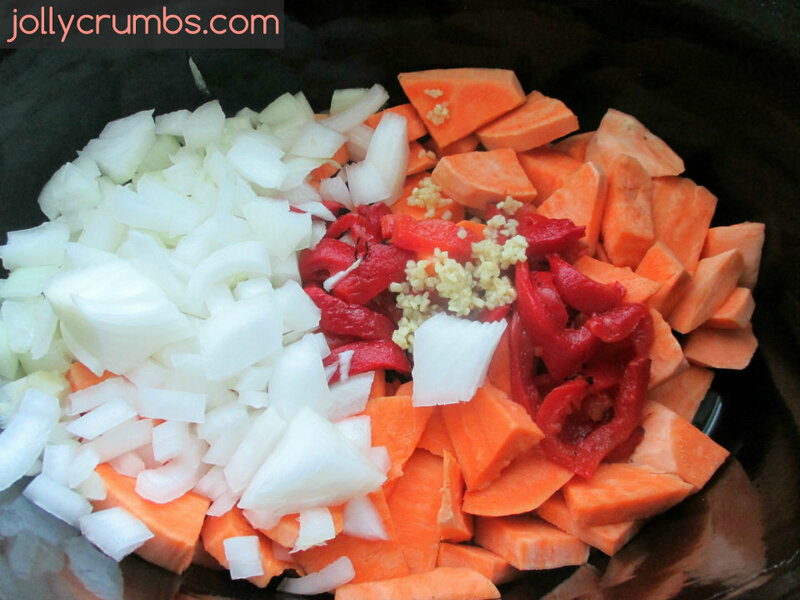 Once everything is thrown together into the crock pot, give it a stir. Set your crock pot on HIGH for about 2 1/2 to 3 hours. Once the sweet potatoes are tender, blend the soup up. I used an immersion blender, but you can also ladle this soup into a regular blender and blend it in small batches. You can add any additional seasoning that you would like in this soup. This soup is so quick and easy to make. Not to mention it is very filling and tasty. If you know me, you know I don’t really like sweet potatoes. I do like this though. I really like the spice of this soup. It compliments the sweet potato, and it makes the sweet potato less sweet. This is a delicious soup, and one that a sweet potato lover would adore, I’m sure. This will be on the rotation in the future, and I’m looking forward to playing around with the spices more next time! Throw everything into the crock pot together. Stir everything together. Cook on HIGH for 2 ½ to 3 hours. The sweet potatoes should be tender. 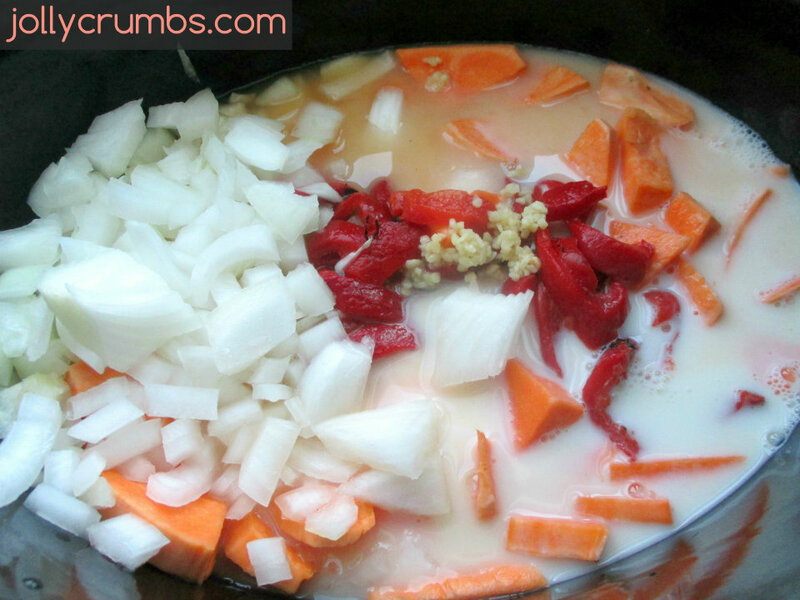 Use an immersion blender or regular blender to purée the soup until smooth. Taste and see if you need to add any optional spices. If you don’t have an immersion blender, you can ladle the soup into a regular blender. Just blend in small batches and remember to leave a small vent in the top of the blender. Hot liquids in blenders without venting = explosion. Also, if you vehemently dislike sweet potatoes you could use regular potatoes in this. That would also be very delicious! 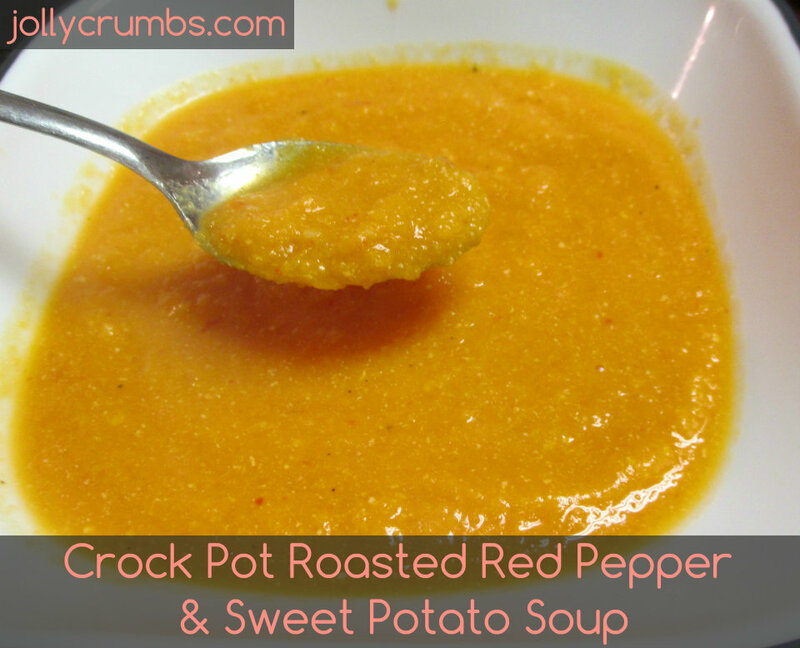 I love sweet potatoes so this soup sounds delicious to me. This is an interesting combination. 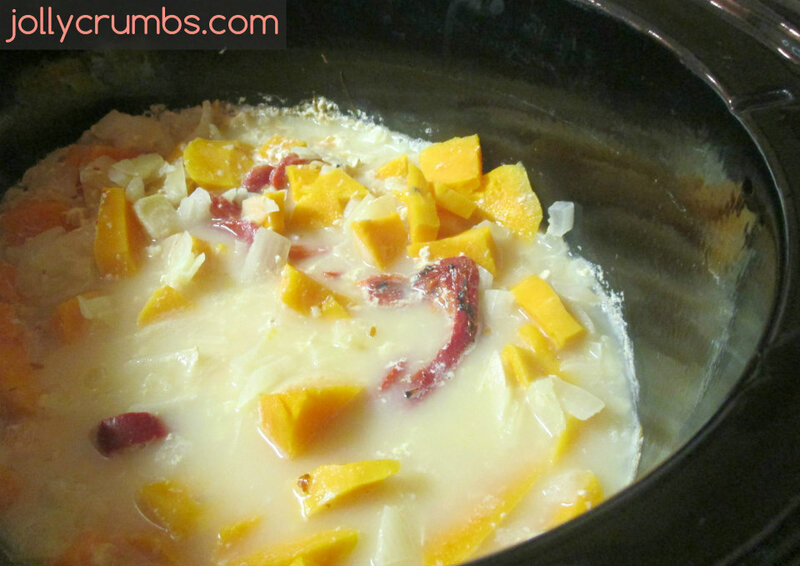 I think you would like this soup if you love sweet potatoes!